Our objective is to become Northern Ireland’s top employer and a great place to work, encourage health and wellbeing, provide equal opportunities to all and develop our employees to reach their full potential. It is important to us that all our team members are proud of what we achieve together in Lidl. Our #WeAreLidl people strategy brings to life our philosophy that our colleagues are part of one team. This strategy focuses on developing sustainable relationships by engaging leaders, prioritising employee wellbeing and implementing consistent and transparent two-way communication, while positively contributing to business objectives. This has, and continues to, engage colleagues and embeds a culture driven by our values – Respect, Recognition, Responsibility and Trust. When it comes to employee wellbeing we ensure exacting high standards. Work Safe. Live Well. is the ethos of our health and wellbeing strategy. Designed to take an holistic view of employee health and wellness, the strategy focuses on 3 core areas; physical safety at work, physical and mental health, and financial wellbeing. The programme focuses on safety in the workplace, mindfulness, fitness, nutrition and provides an impressive employee benefits package. This year’s Work Safe. Live Well. 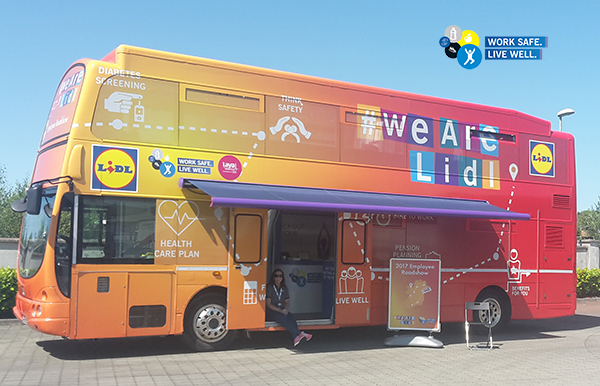 benefits roadshow will be visiting numerous locations across the country between July and September offering all Lidl employees the opportunity to undergo free diabetes screening. Additional programme benefits include pension, healthcare scheme, employee assistance programme, anniversary payments, tax savers, sabbatical leave, maternity and paternity top up and the recently introduced paid volunteer day. We were delighted to be the first major retailer in Ireland and Northern Ireland to commit to paying the increased living wage to each of our team members . The living wage is an independently assessed and measured rate of income considered necessary to meet basic needs such as housing, food, clothing, transport and healthcare – the cost of which is not always covered by the national minimum wage. 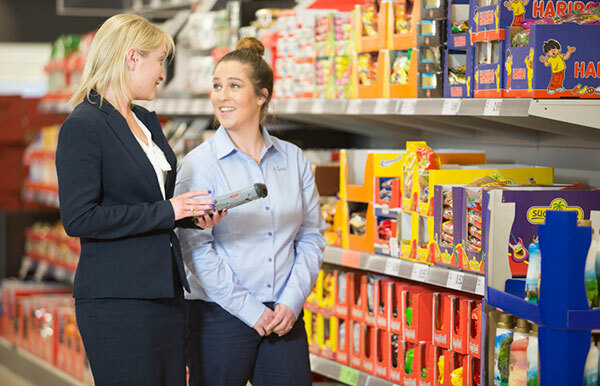 At Lidl, all employees are provided with the training and support they need to reach their full potential and to progress within the organisation. In fact, many of our managers successfully advanced their careers from starting positions in our stores. Structured, on-the-job training is the foundation of our training concept, giving our employees the opportunity for further development, both professionally and personally. 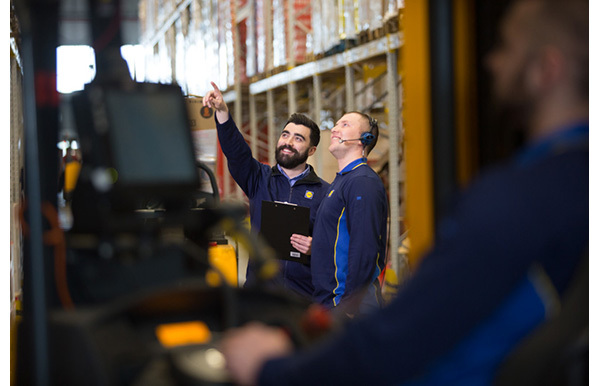 In 2017 alone, we will invest 25,000 training hours in our stores and warehouses, 35,000 hours in work safety training and offer over 150 training courses to support personnel development and business growth. We are proud to be partnered with The Prince’s Trust, and specifically to support the “Get into Retail” programme for the past 3 years. The programme targets 18 – 24 years old from disadvantaged backgrounds. Through this programme we have supported 95 young people enabling them to gain employment and professional and personal development. We are committed to helping develop our local communities and closing the unemployment gap in Northern Ireland. 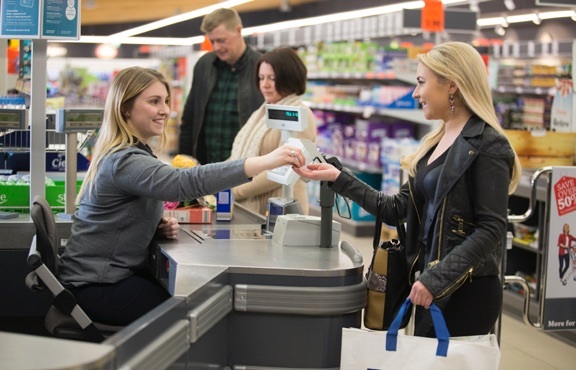 Since we first launched this programme, 59% of these young people who joined Lidl were offered employment contracts and have remained with us as proud members our team. 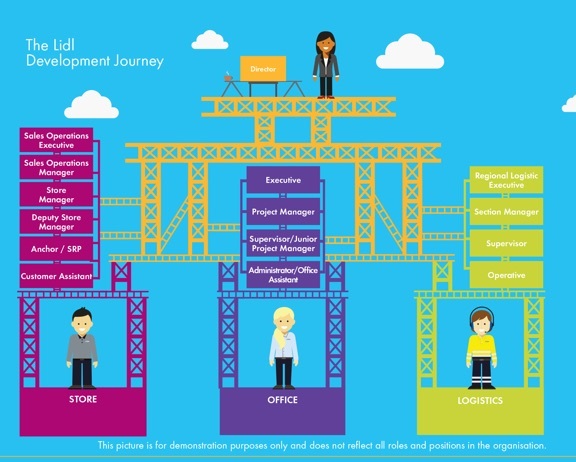 Do you want to be part of a creative and dynamic team? Over the coming year, we will hire 200 new colleagues in Northern Ireland for a variety of roles to add to our 5,000 strong amazing workforce in both Ireland and Northern Ireland. To find out more, please visit our careers website jobs.lidl-ni.co.uk.